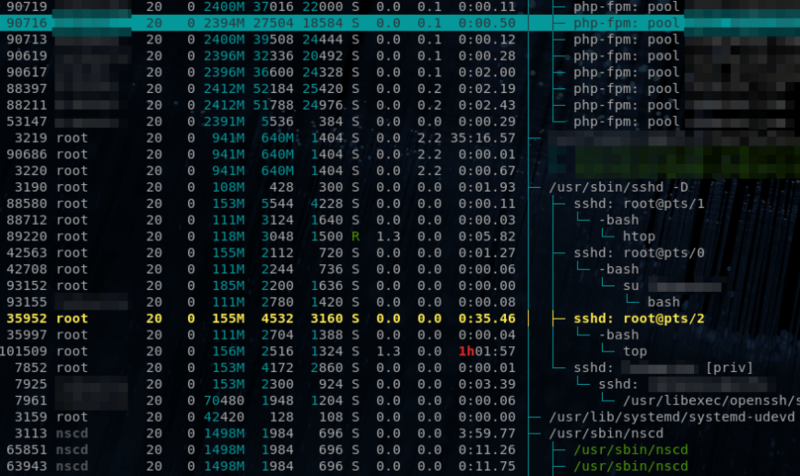 Replace 3649 with your idle ssh session PID. Check afterwards with the “w” command. Another method for identifying idle (orphaned ssh sessions) is by using htop. Notice below the idle ssh session with ‘top’ command left running. I’ll be writing a full article on getting the most out of htop very soon (subscribe to updates). Also see: top, atop, others.